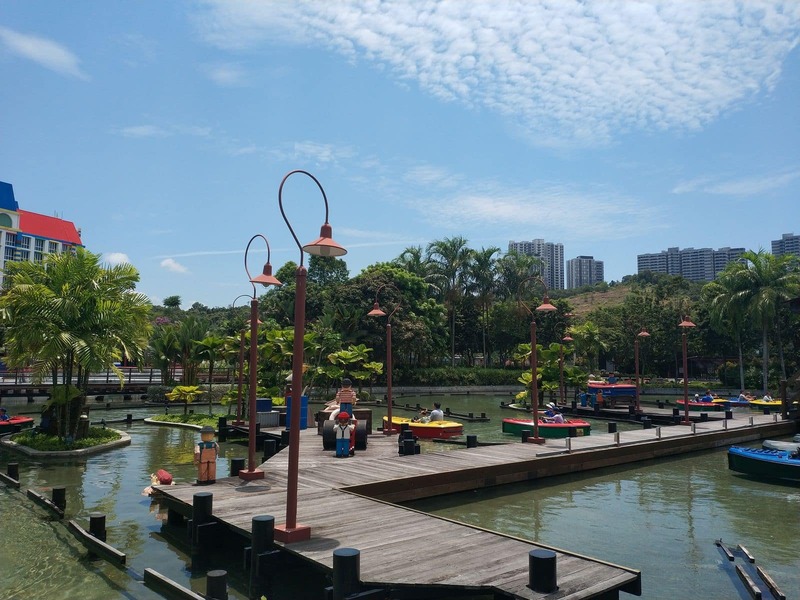 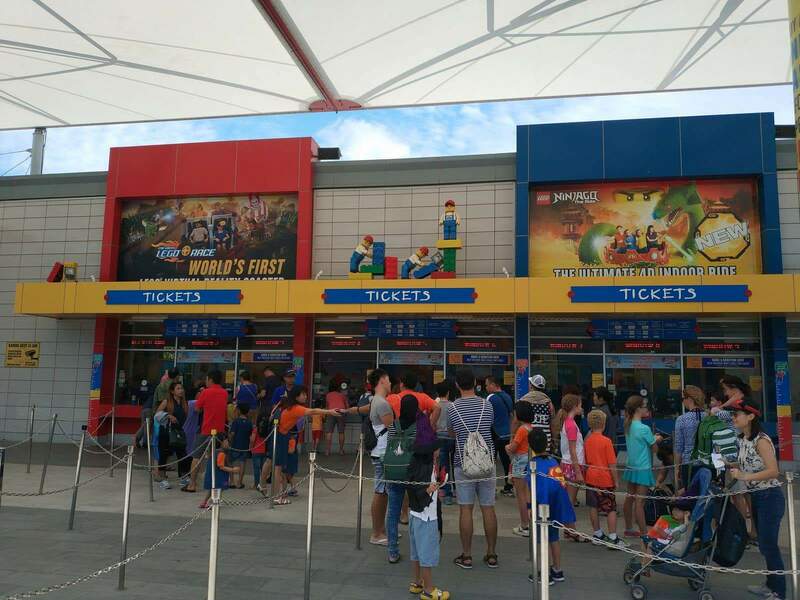 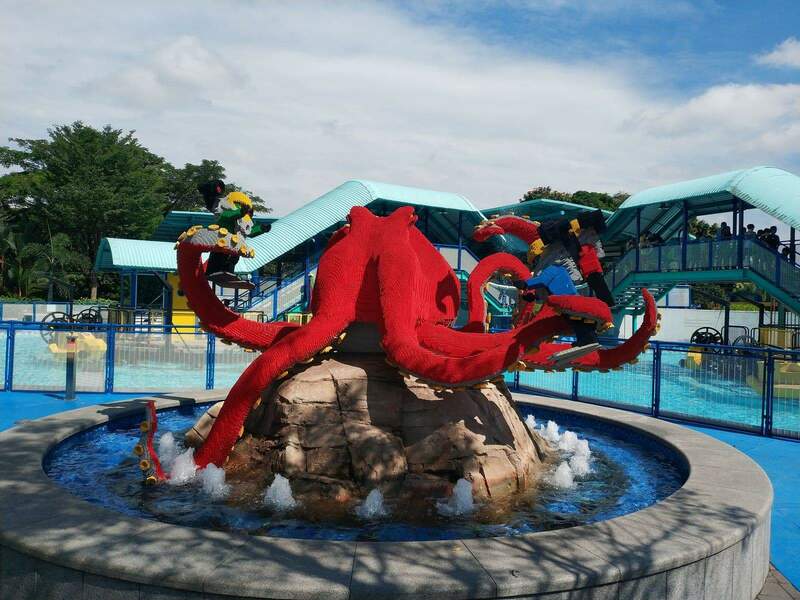 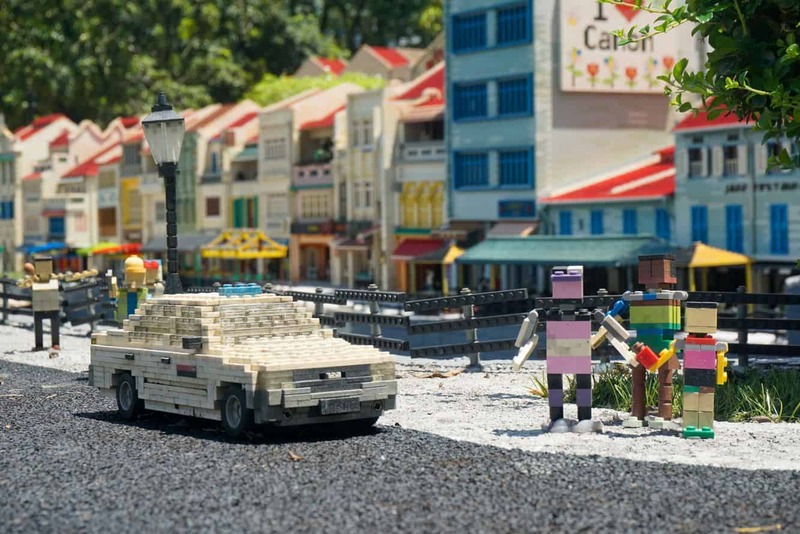 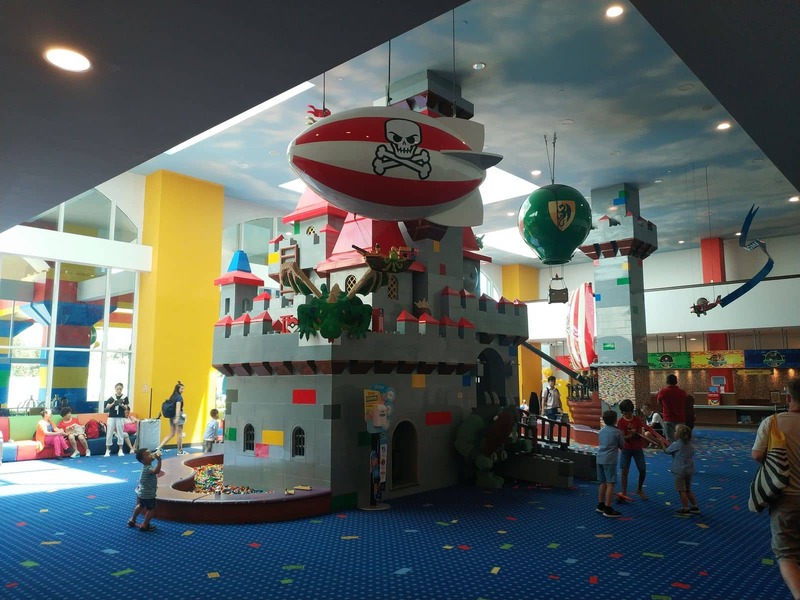 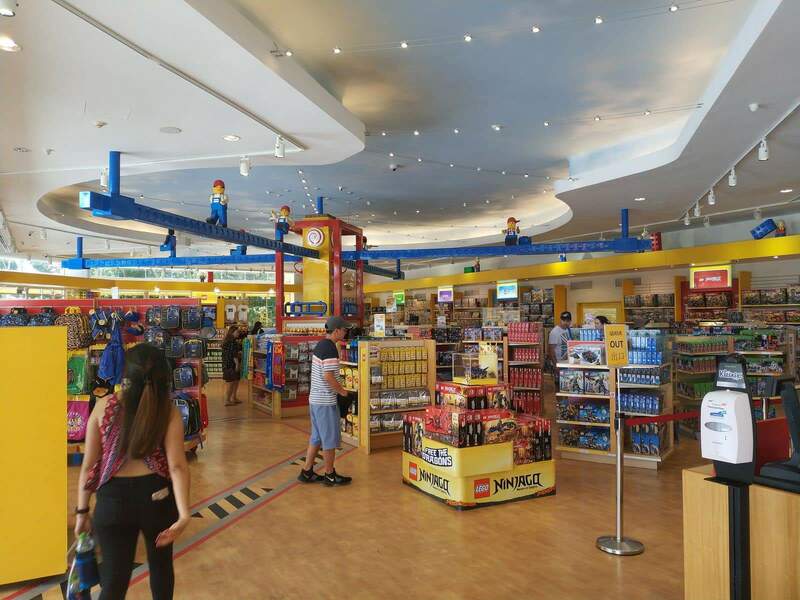 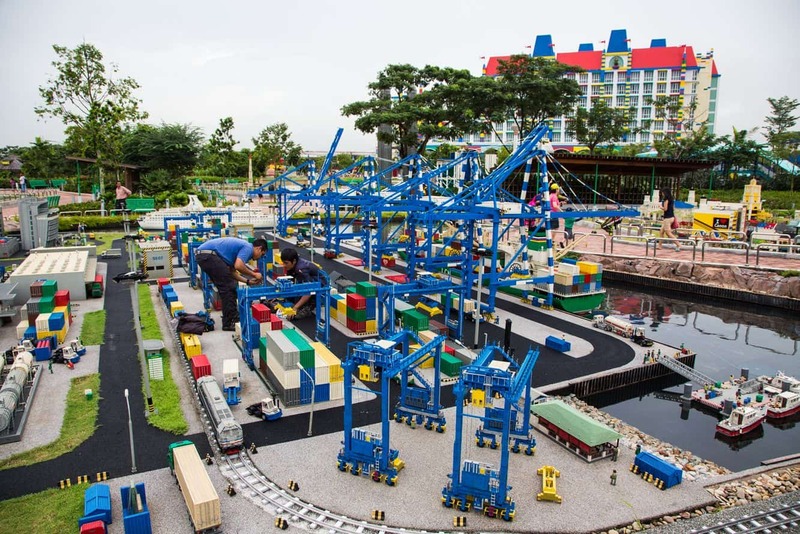 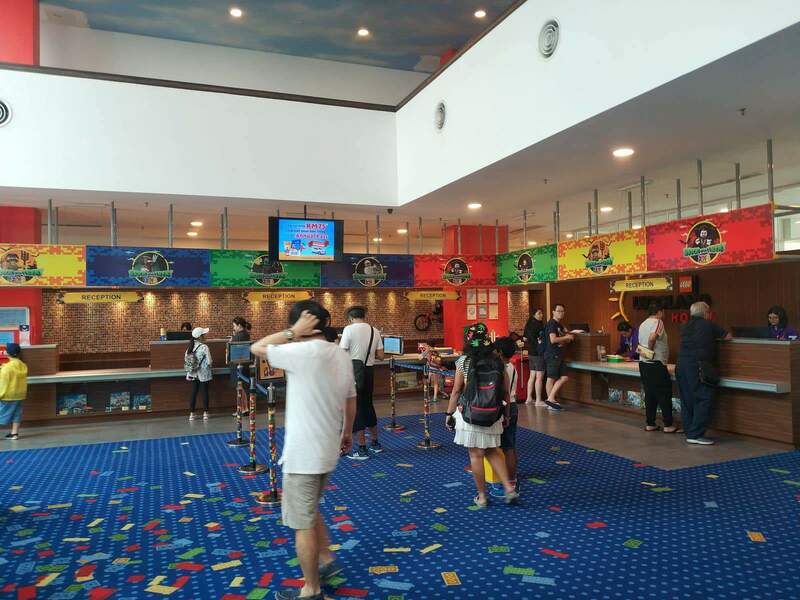 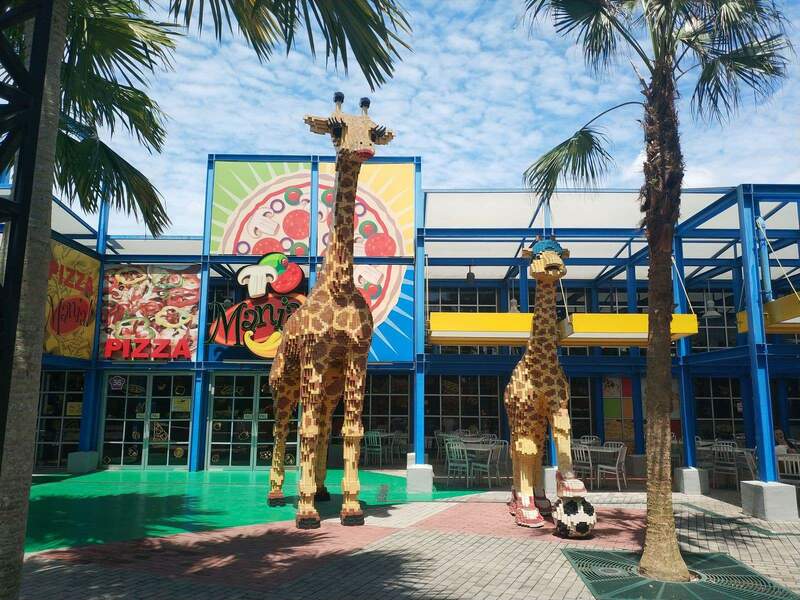 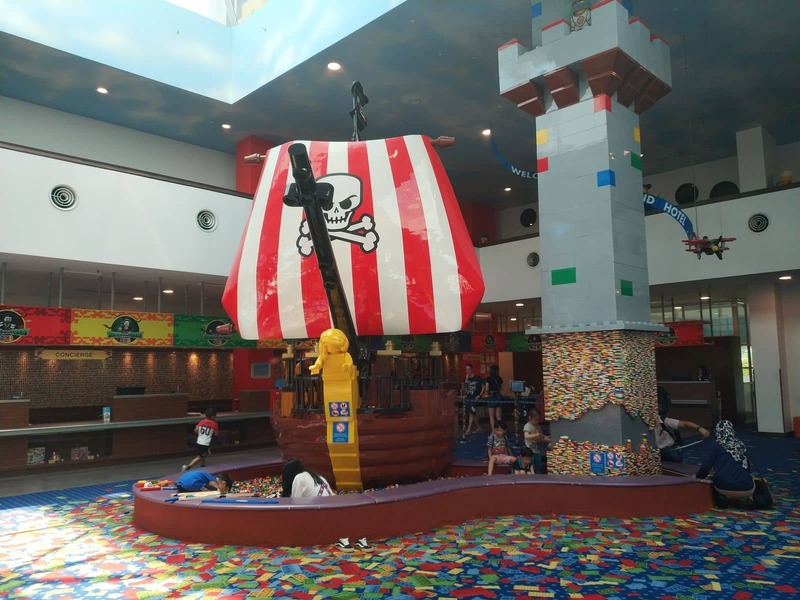 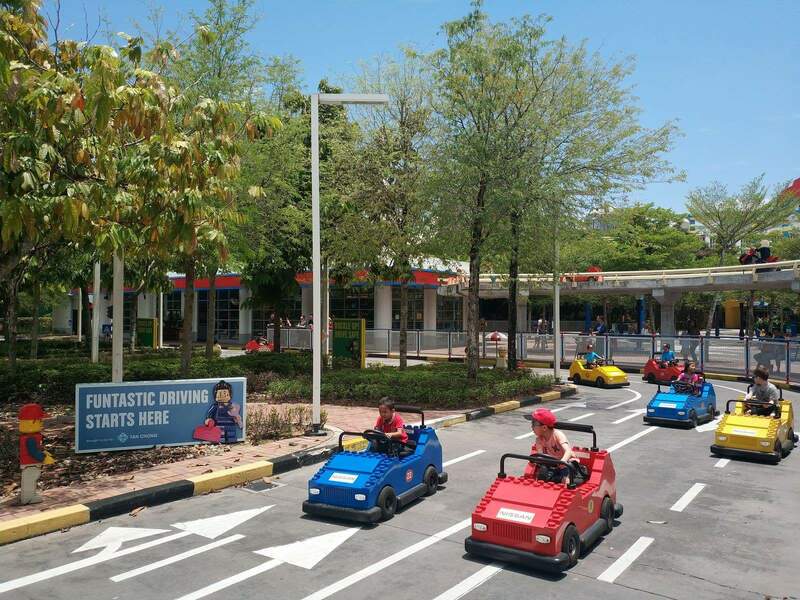 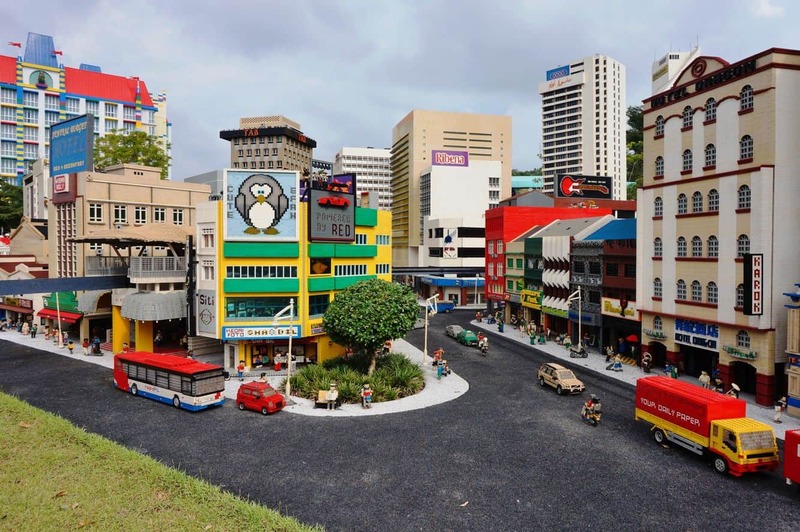 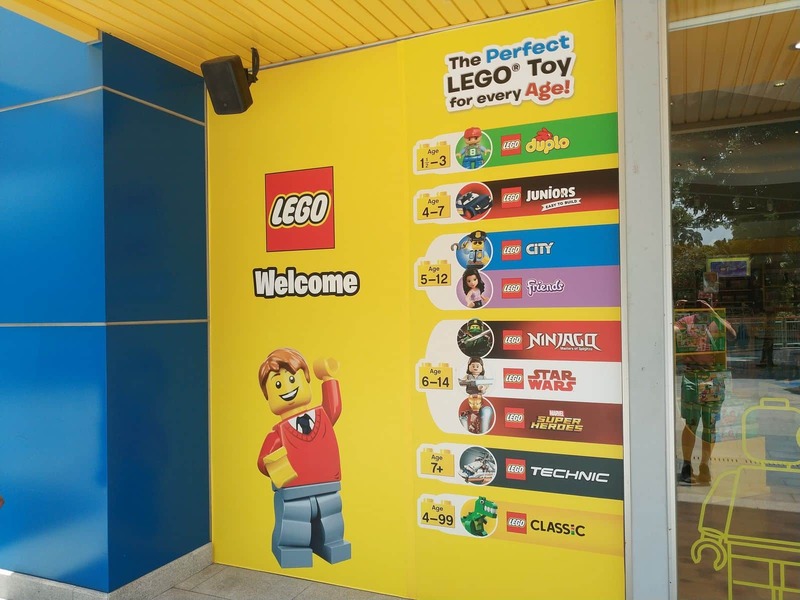 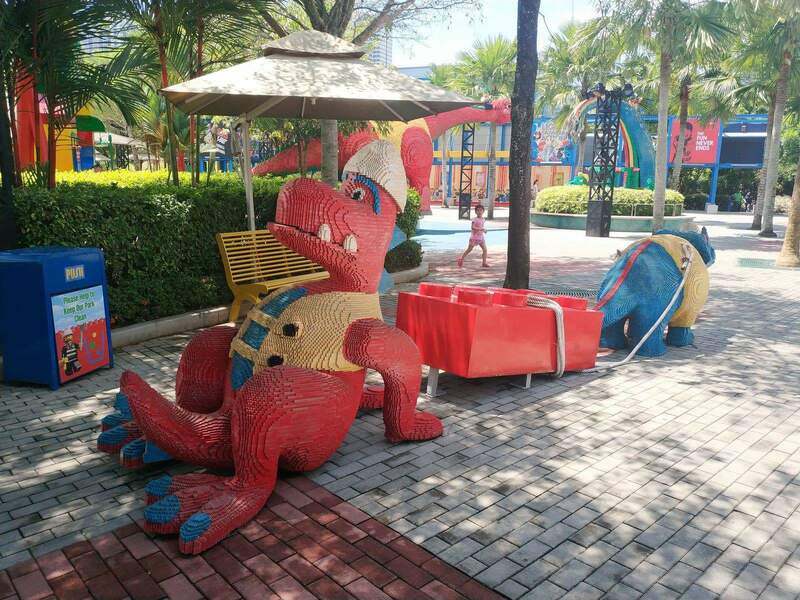 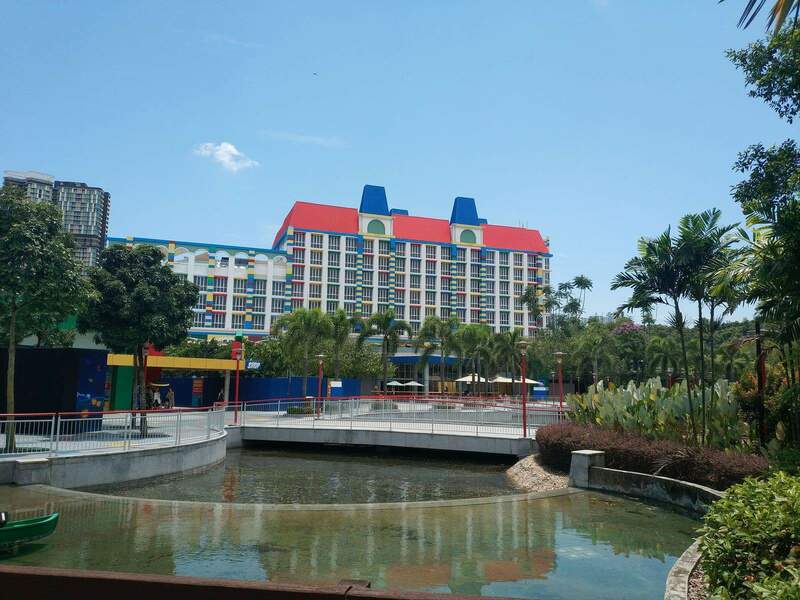 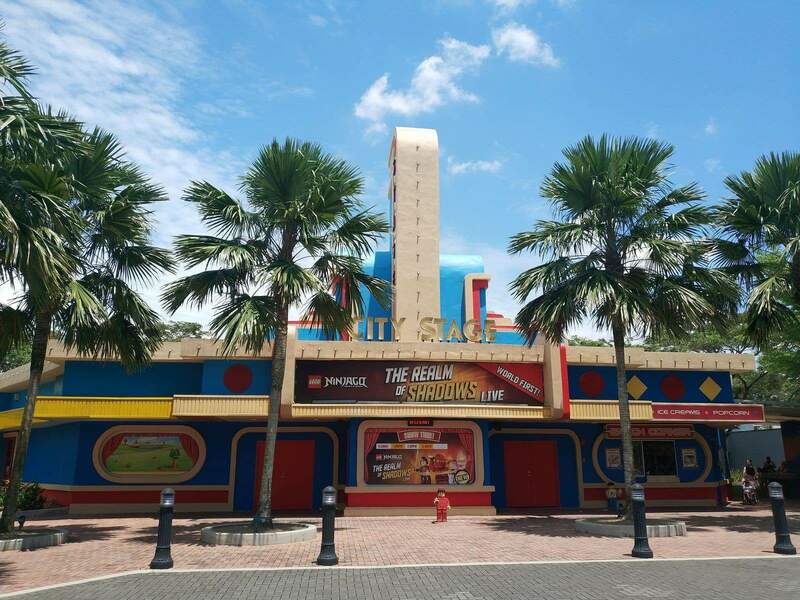 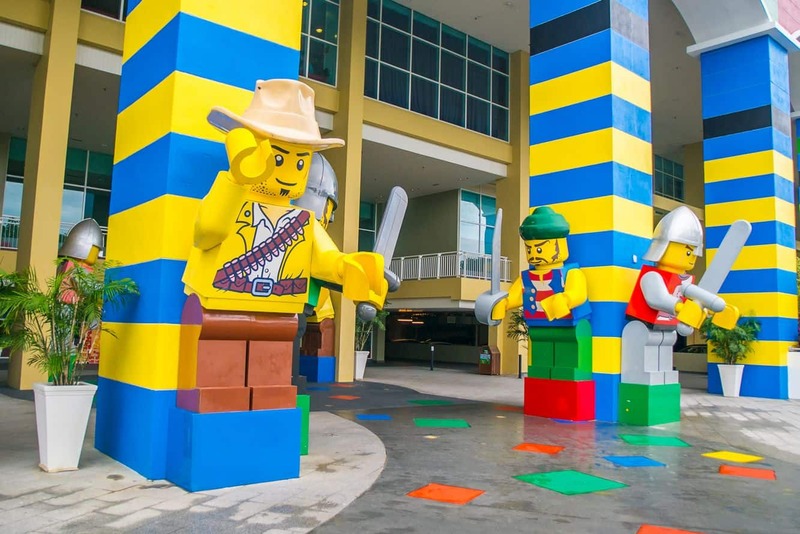 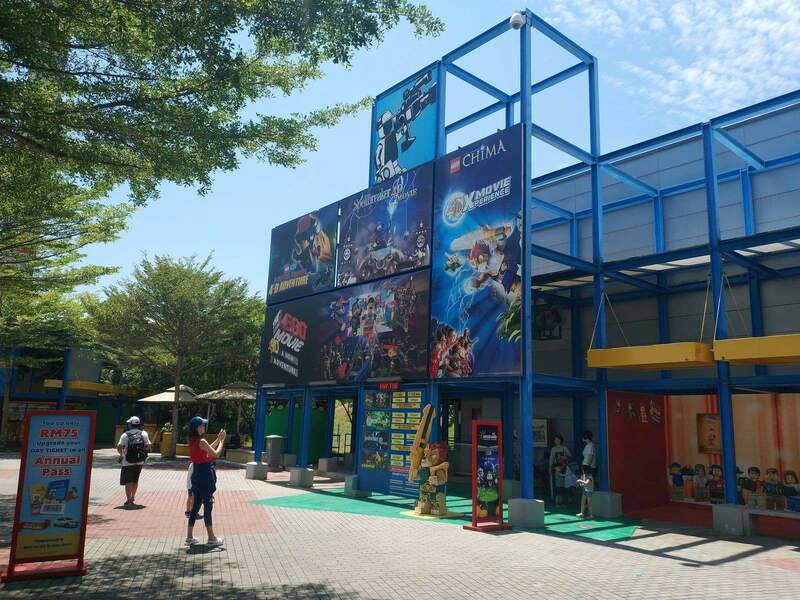 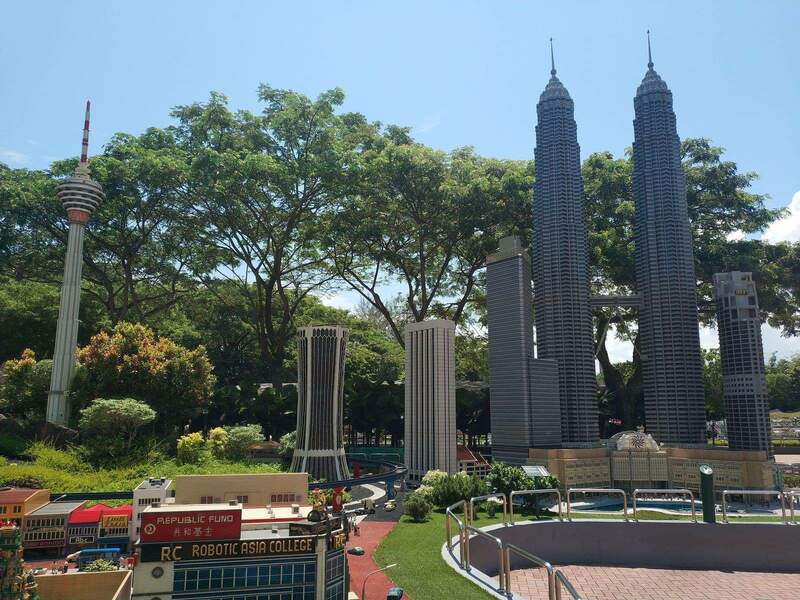 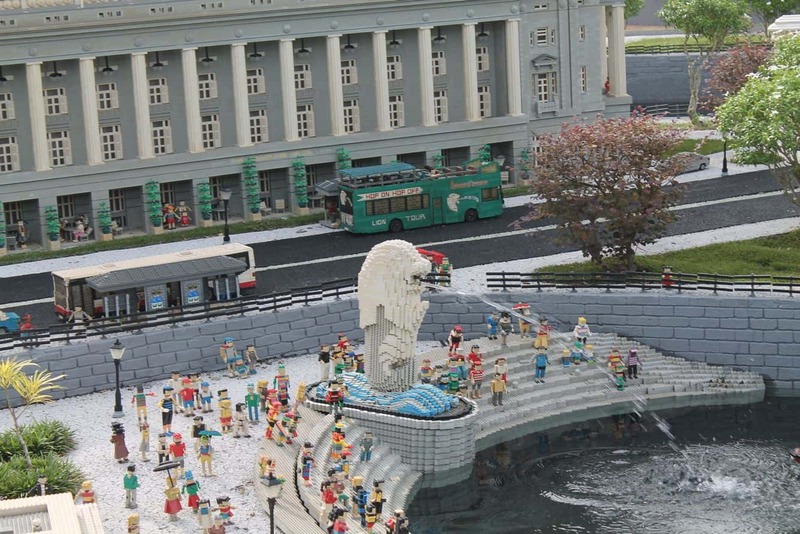 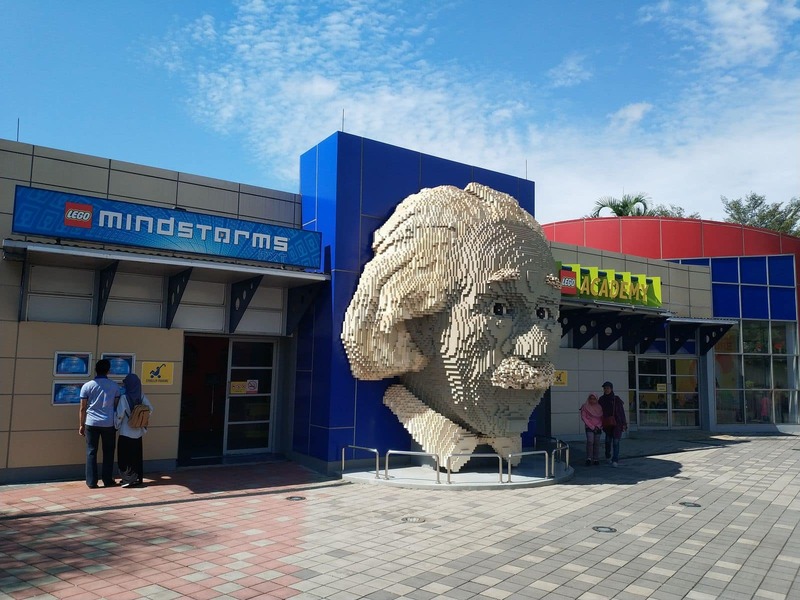 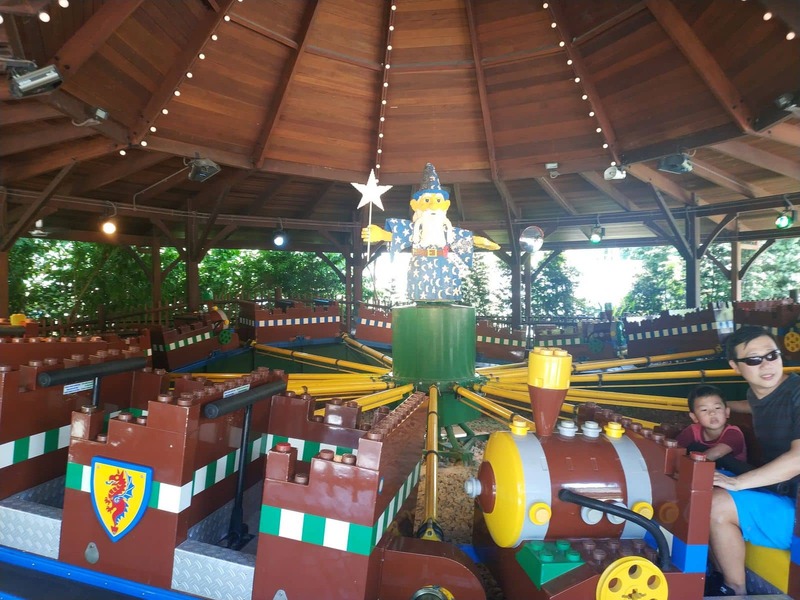 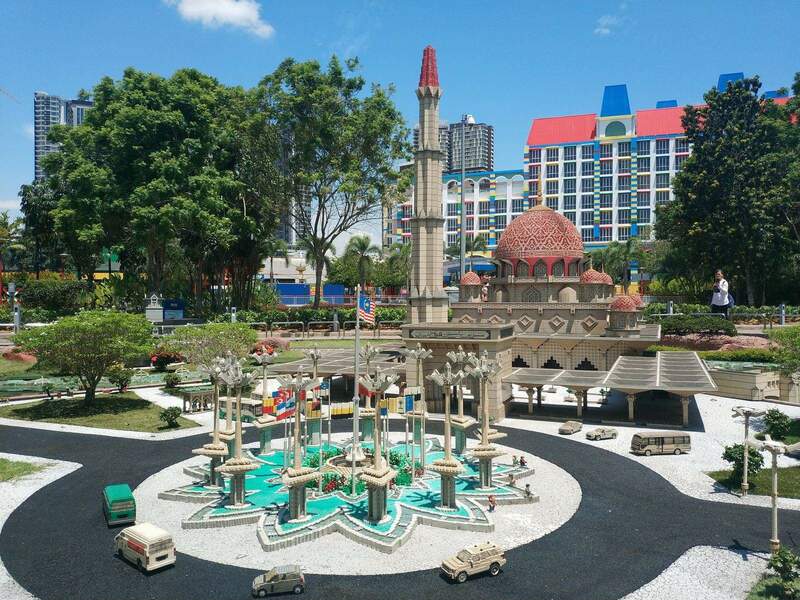 Come to Legoland Malaysia during your next stay in Singapore, as it located just across the causeway from Singapore. 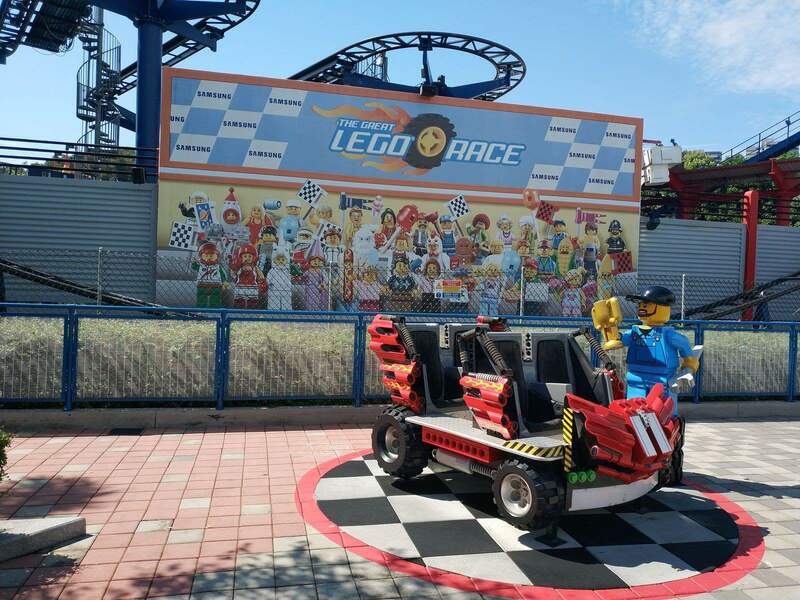 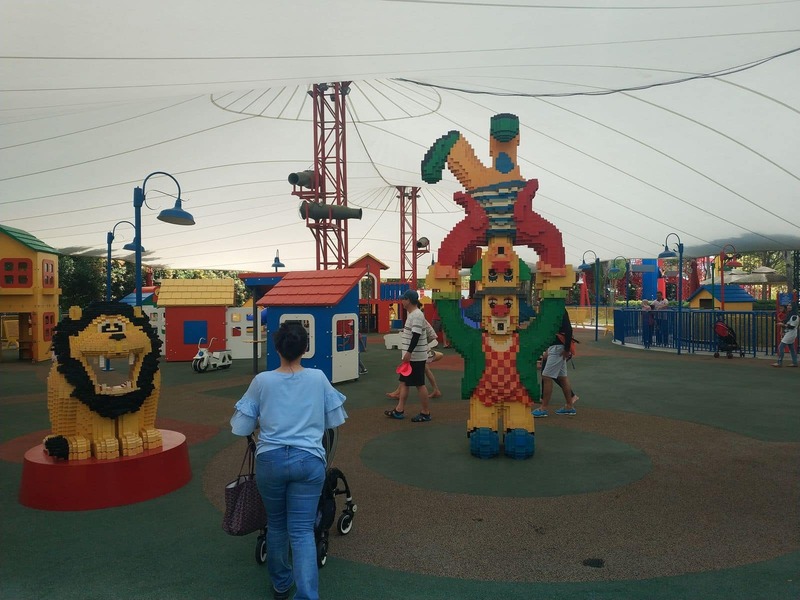 Filled with so many fun attractions and activities for you and your family, Legoland is a great place to spend a day or a few nights on your next holiday! 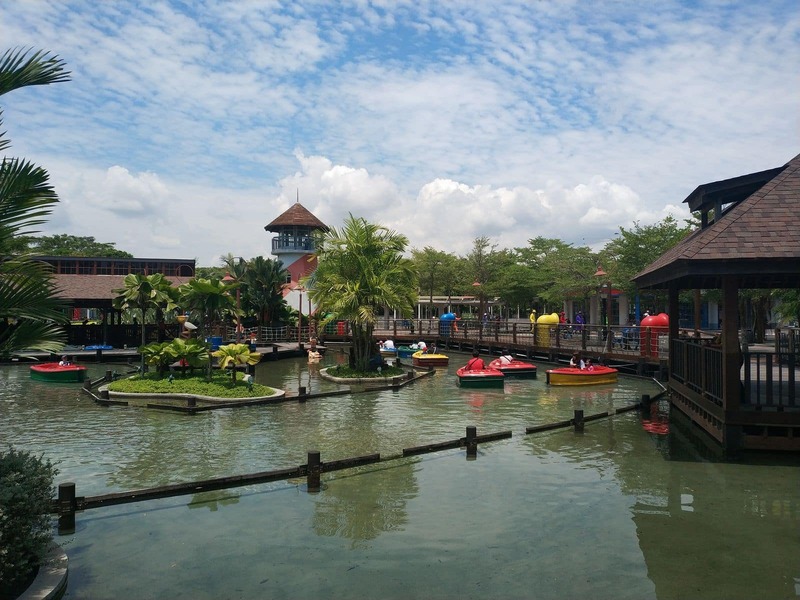 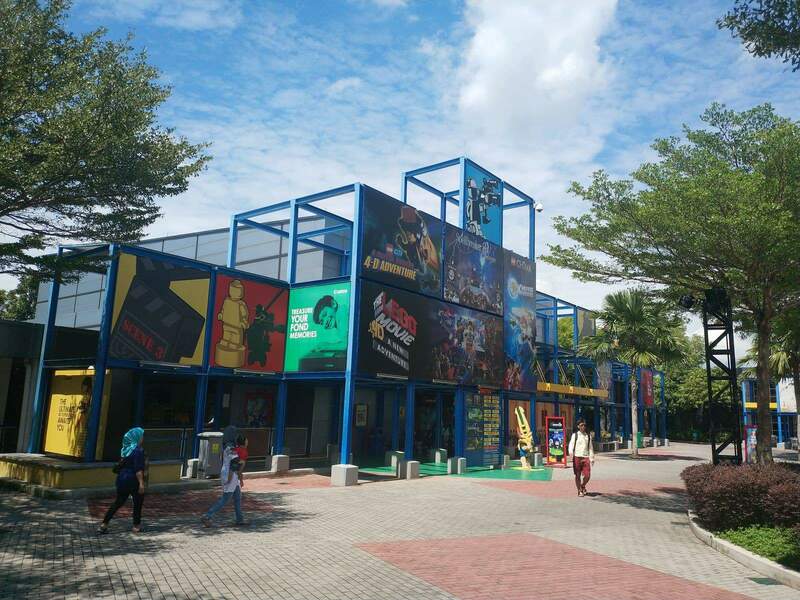 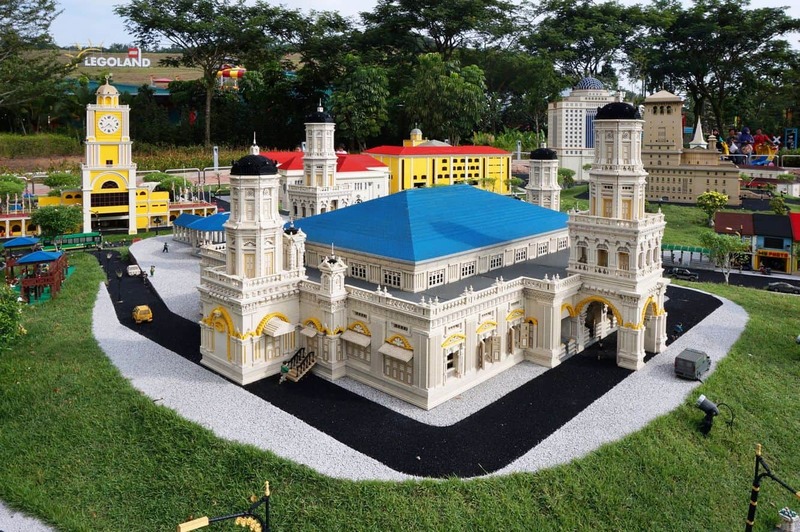 Legoland Malaysia consists of a resort, waterpark and theme park. 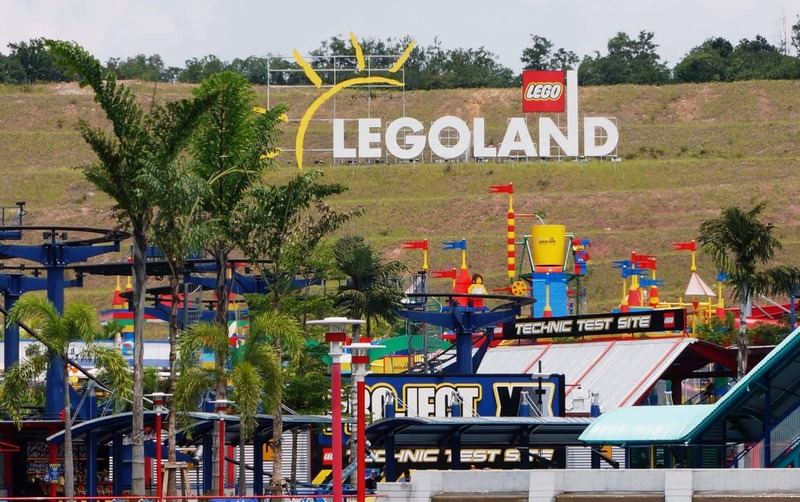 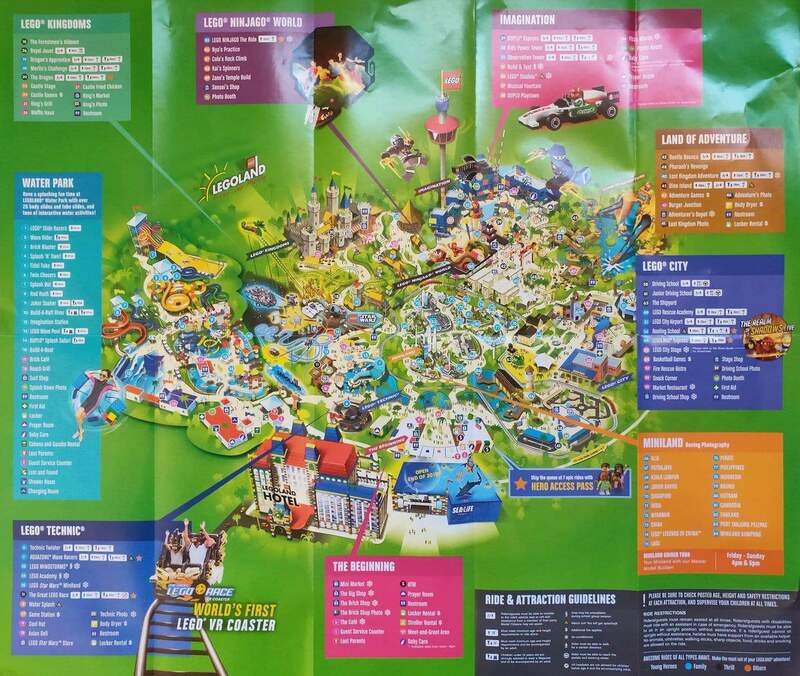 There are six main sections to the park; Lego Technic, Lego Kingdoms, Imagination, Land of Adventure, Lego City and Mini Land. 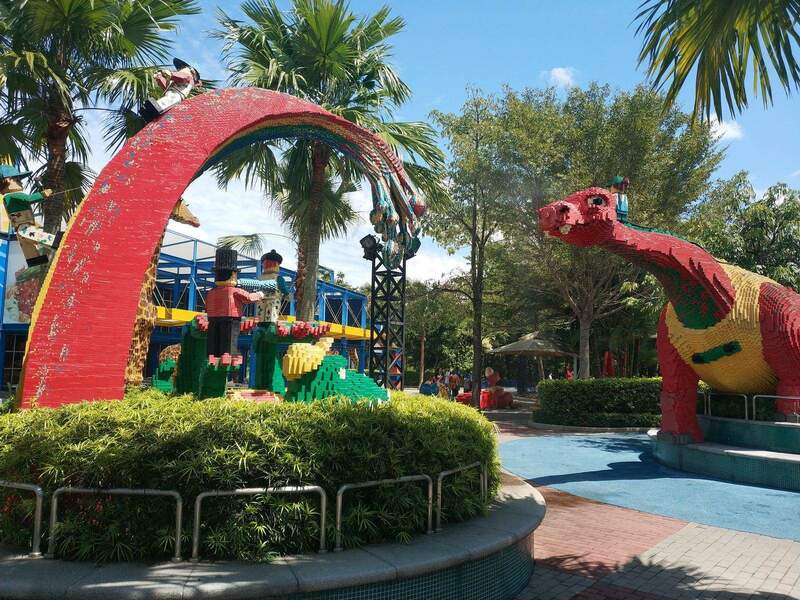 Each world has something different on offer as well as rides and activities for kids to enjoy! 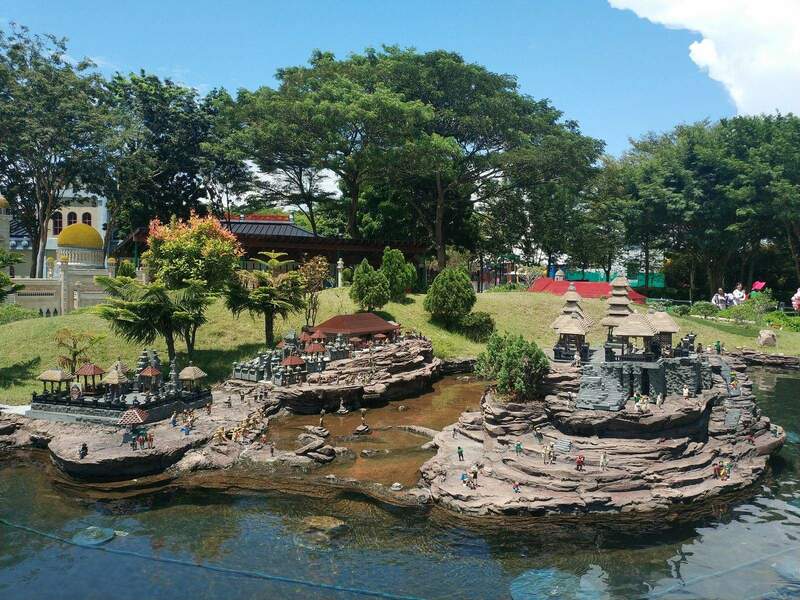 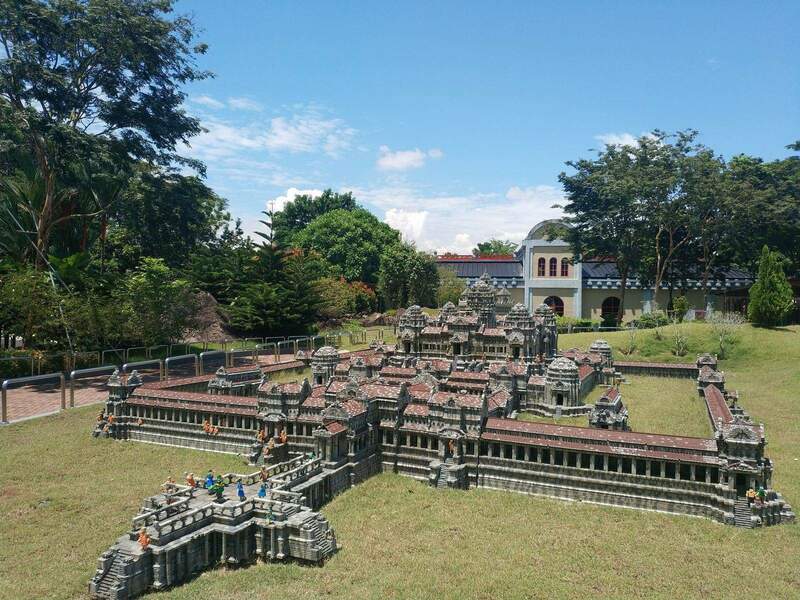 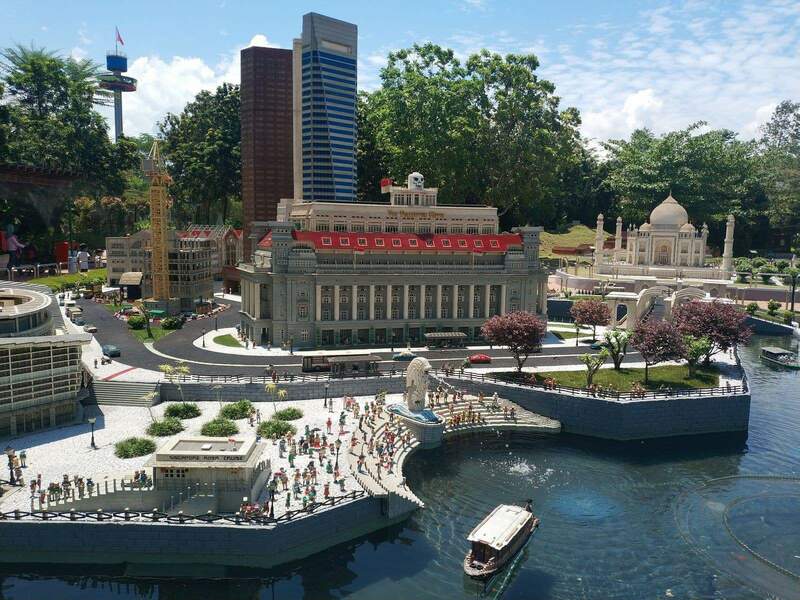 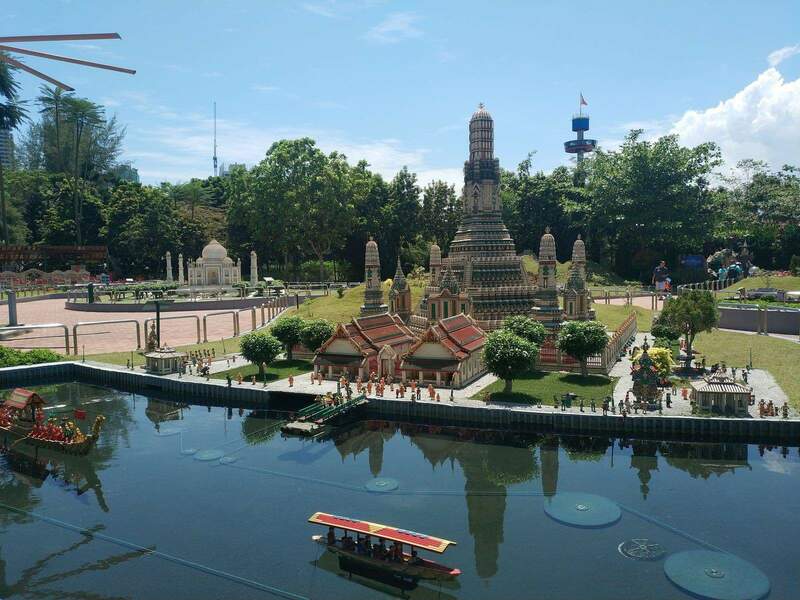 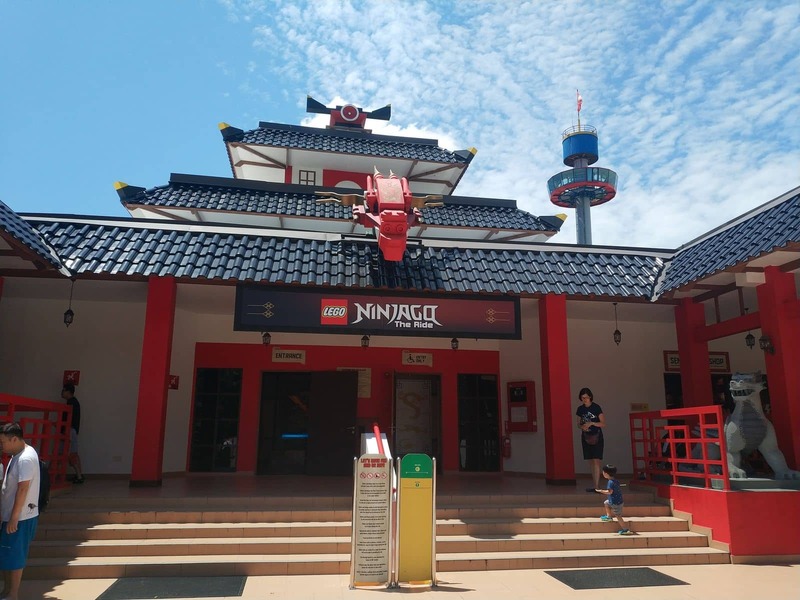 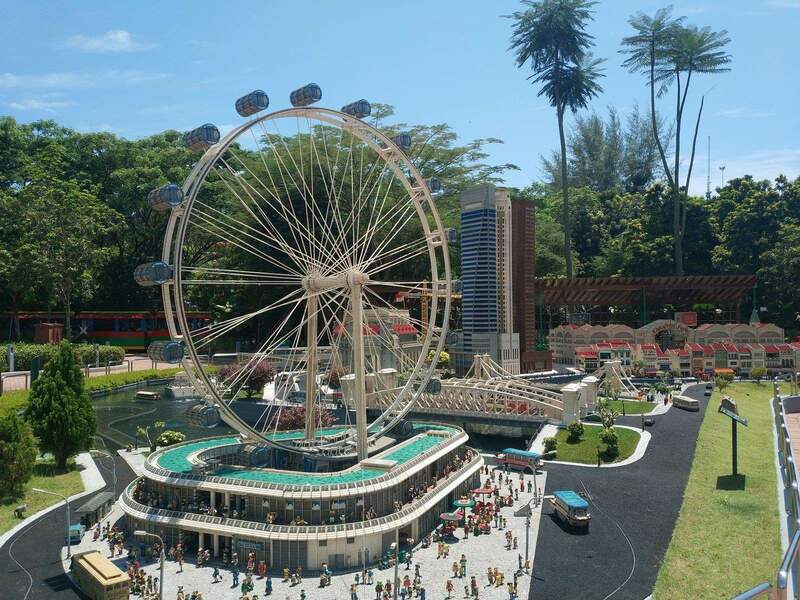 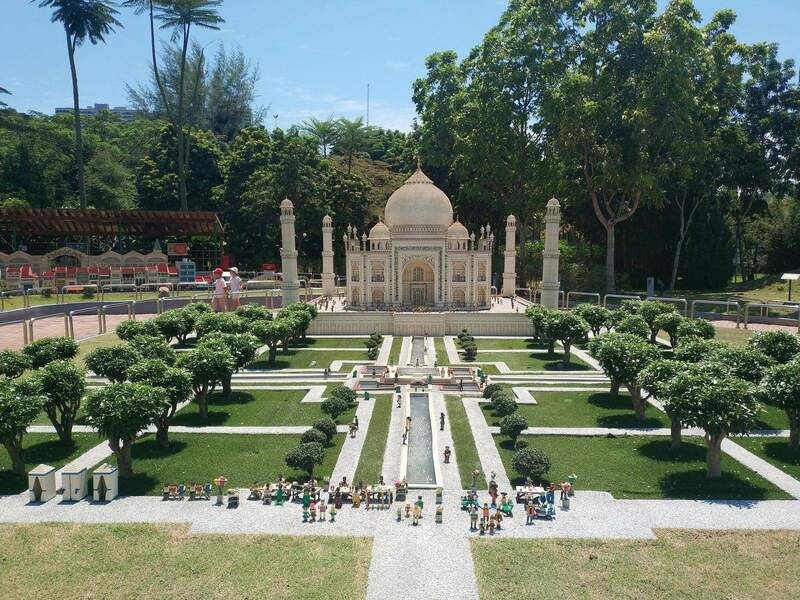 Head over to Miniland where you can see Lego in all its glory with a true-to-life miniature version of Asia’s iconic landmarks around the world. 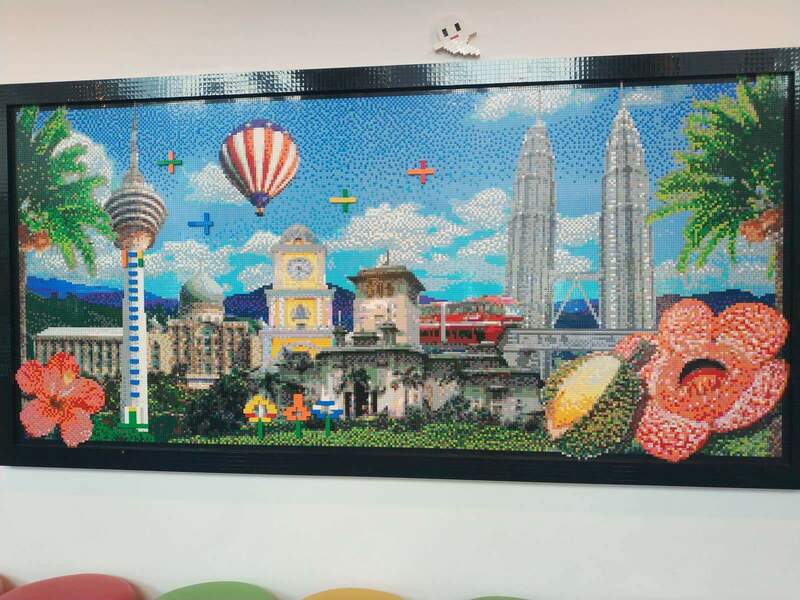 You will be able to see the Petronas Twin Towers, Angkor Wat, The Forbidden City Beijing, Merlion and the Taj Mahal just to name a few. 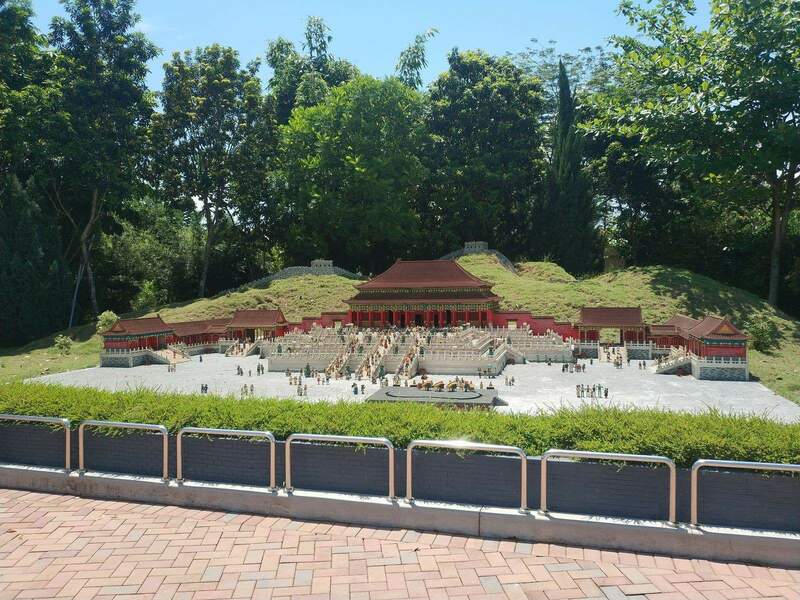 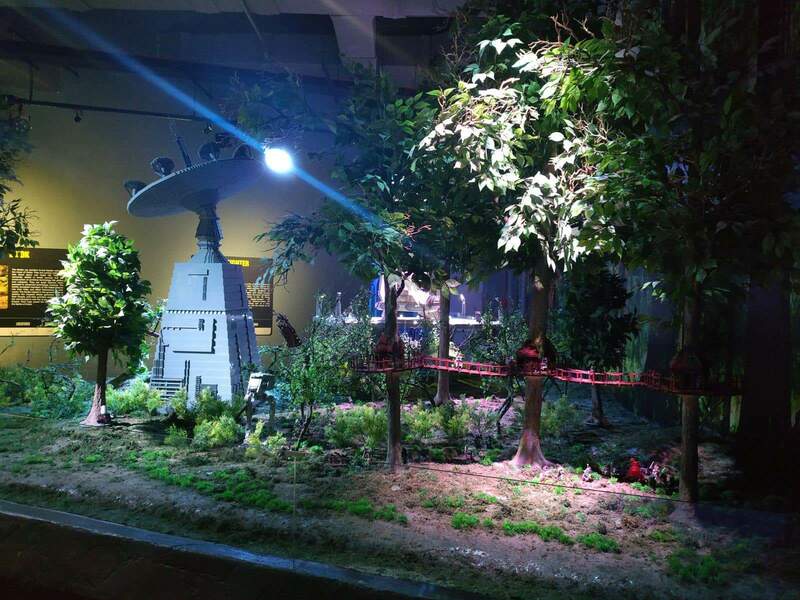 Many of the icons are animated and light up, you will be amazed at the sights and sounds of Miniland. 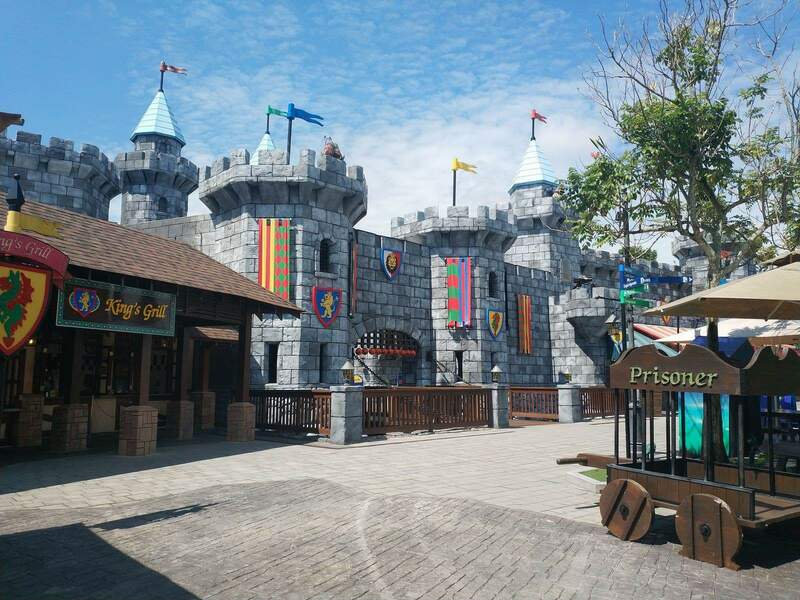 For adrenaline junkies, there are plenty of rides to enjoy including Dragons Apprentice rollercoaster, Lost Kingdom Adventure and Project X. 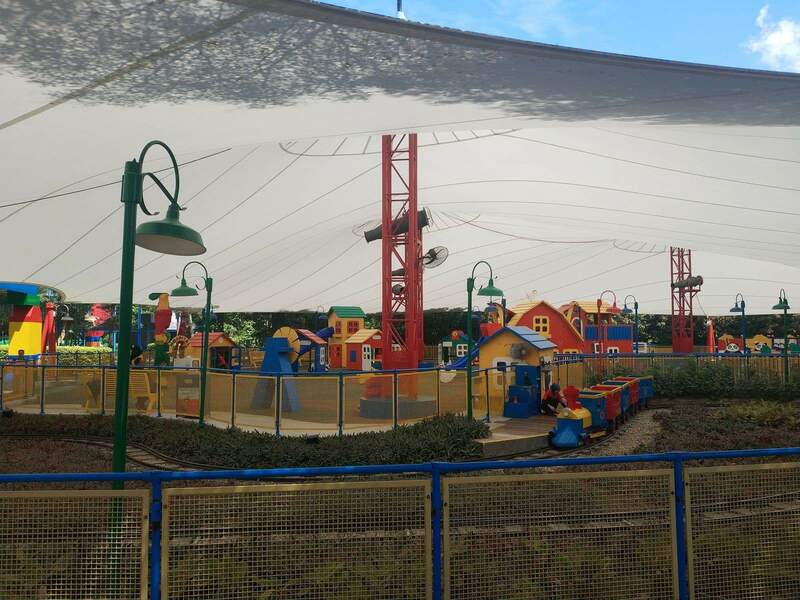 There are plenty of rides for the little ones to enjoy, as well as some water-based rides and attractions. 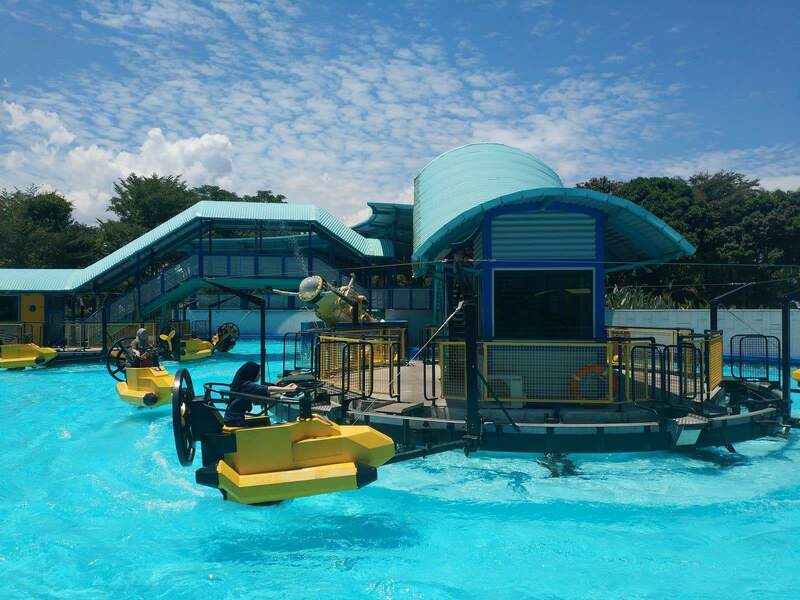 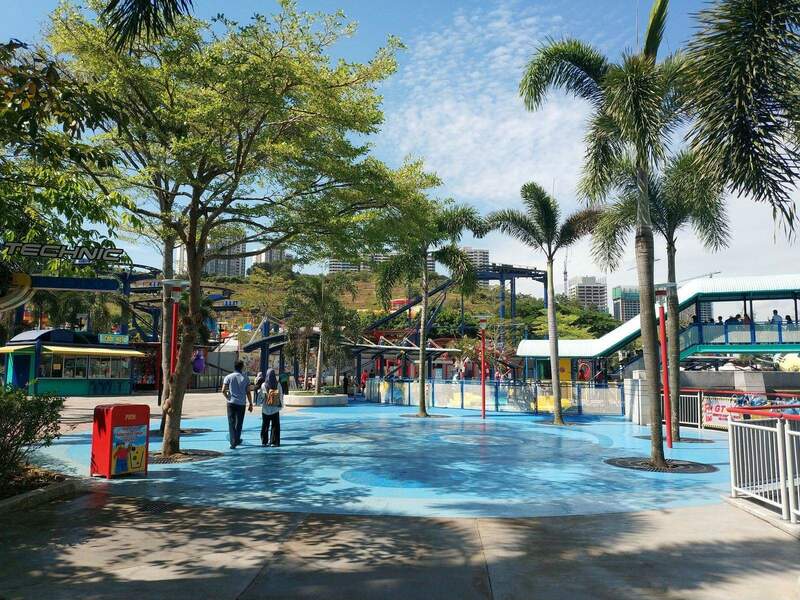 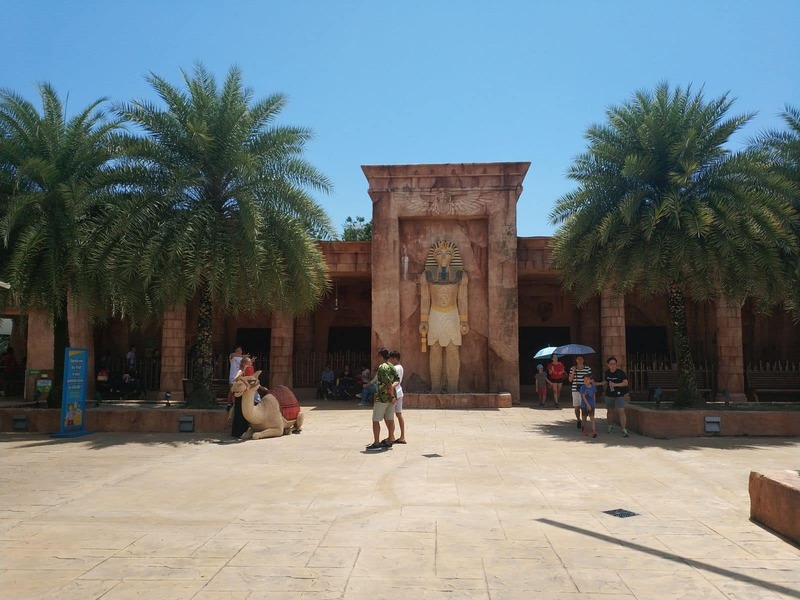 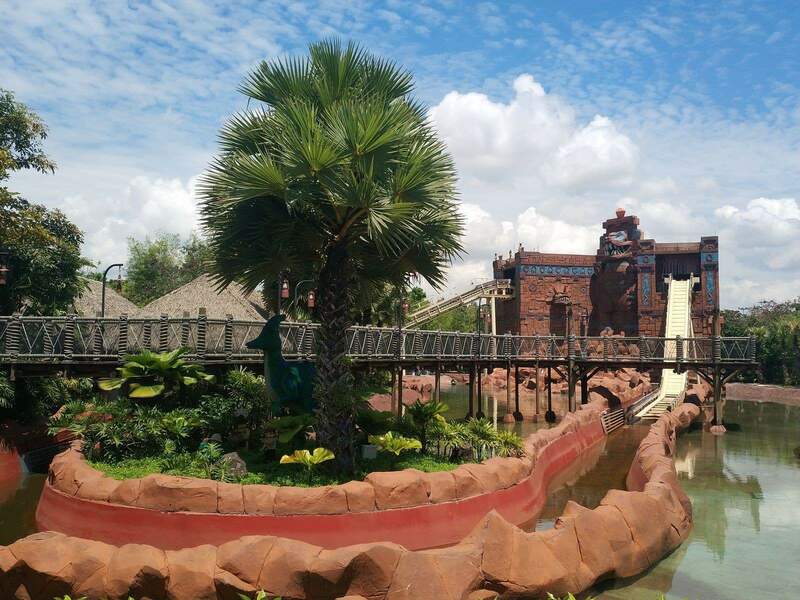 The Water Park will cool you down in the hot Malaysian weather and you will be able to enjoy surfing in the wave pool, relaxing in the lazy river, as well as slip and slide down some tube water slides. 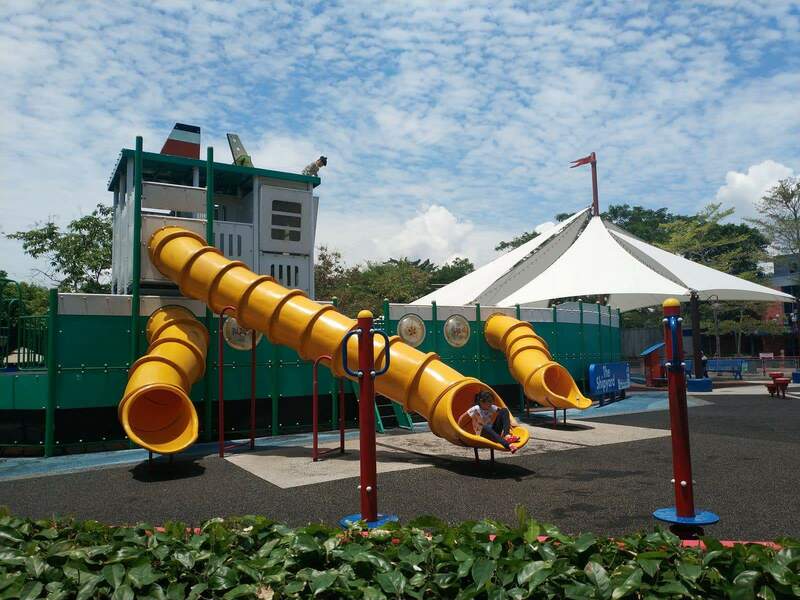 Kids will love the super soakers where they can paddle and splash. 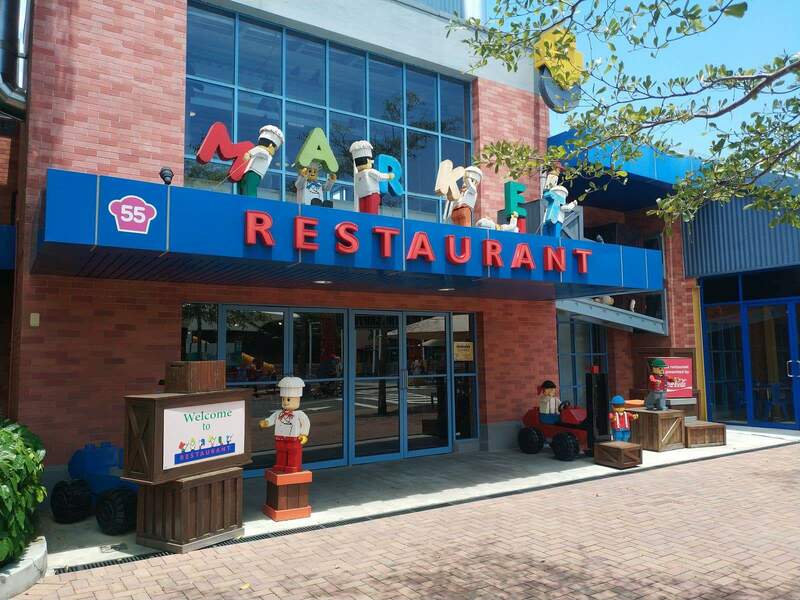 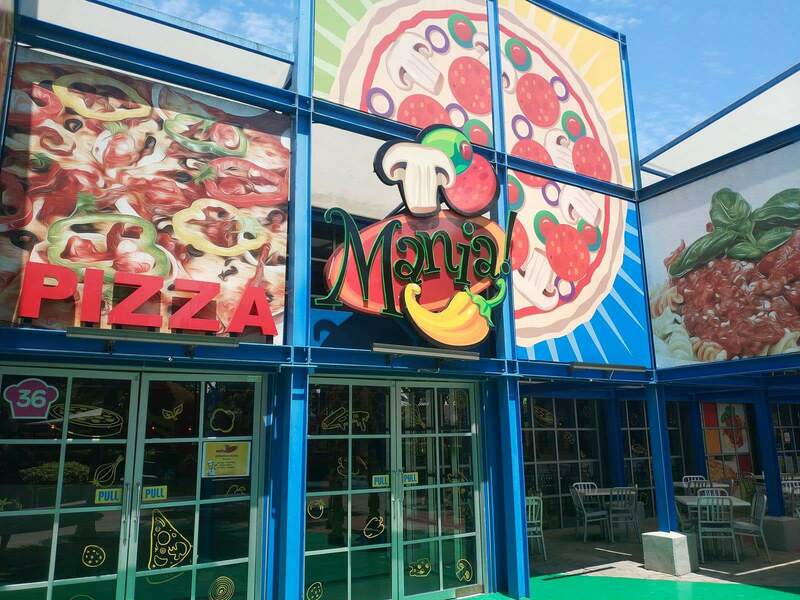 There are plenty of places to purchase lunch inside Legoland and Water Park. 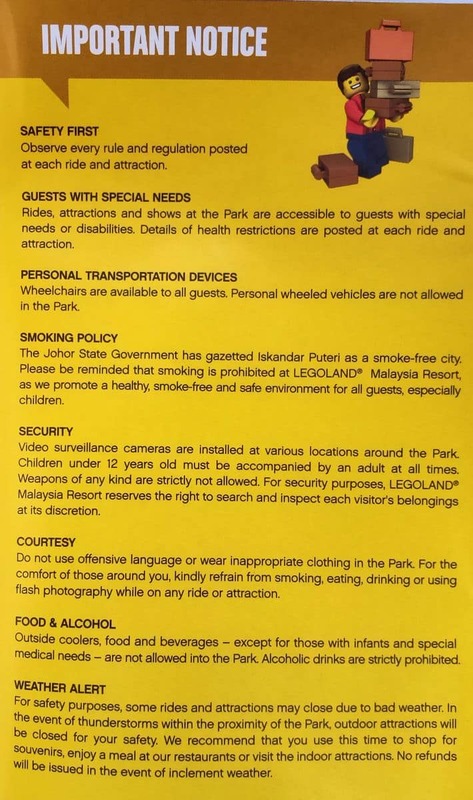 Please note that outside food and drinks are not permitted, with the exception of baby food or for medical reasons. 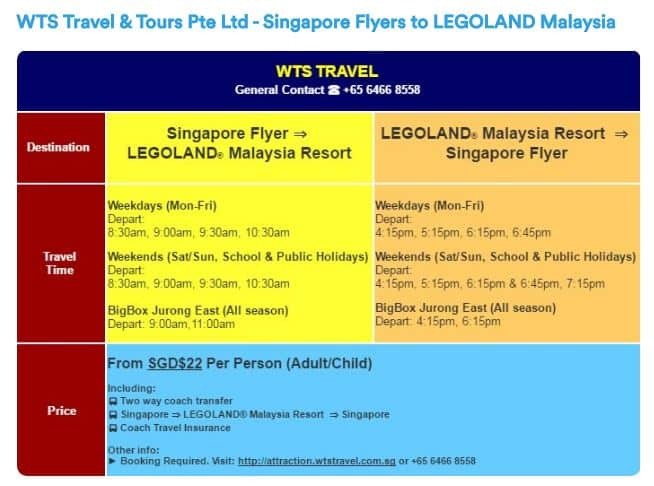 There are direct bus transport options to Legoland from Singapore. 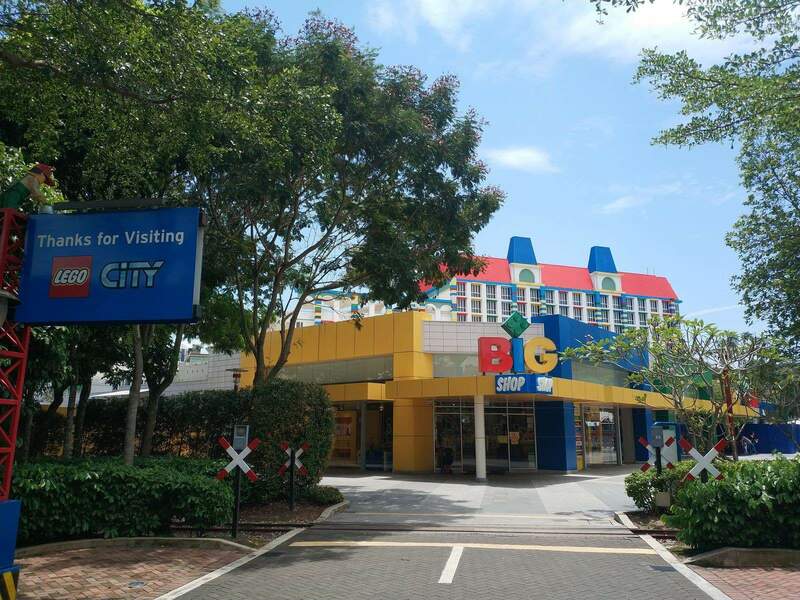 The shuttle bus leaves and returns from the Singapore Flyer. 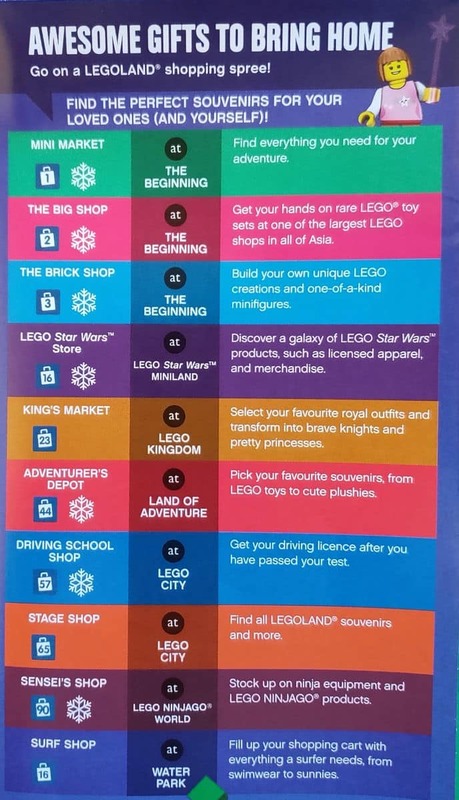 Further details are contained in the image below. 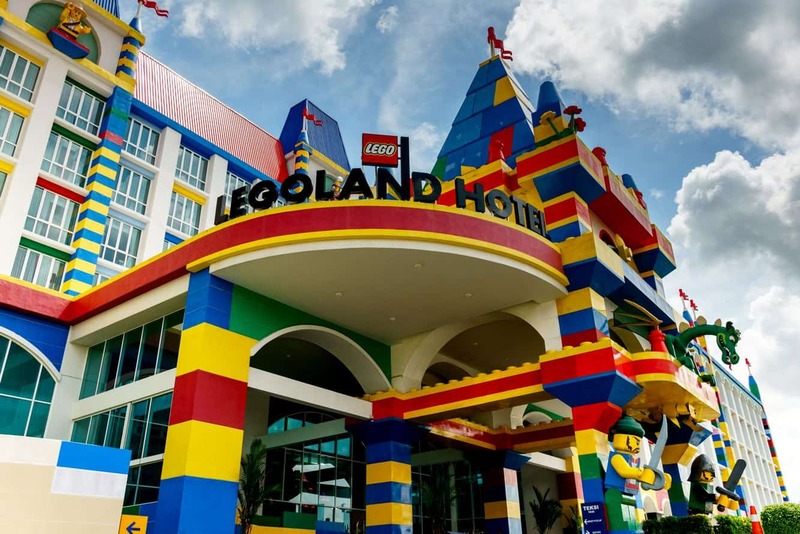 If you would like to stay in Legoland, the Hotel Resort is a great place to rest your head as it has hundreds of uniquely themed Lego rooms that your family will love! 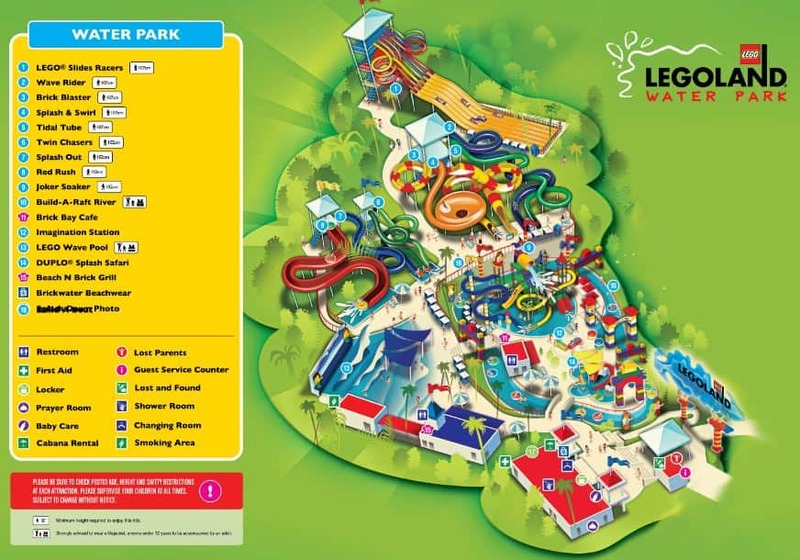 Make sure to buy your tickets and book your accommodation online in advance. 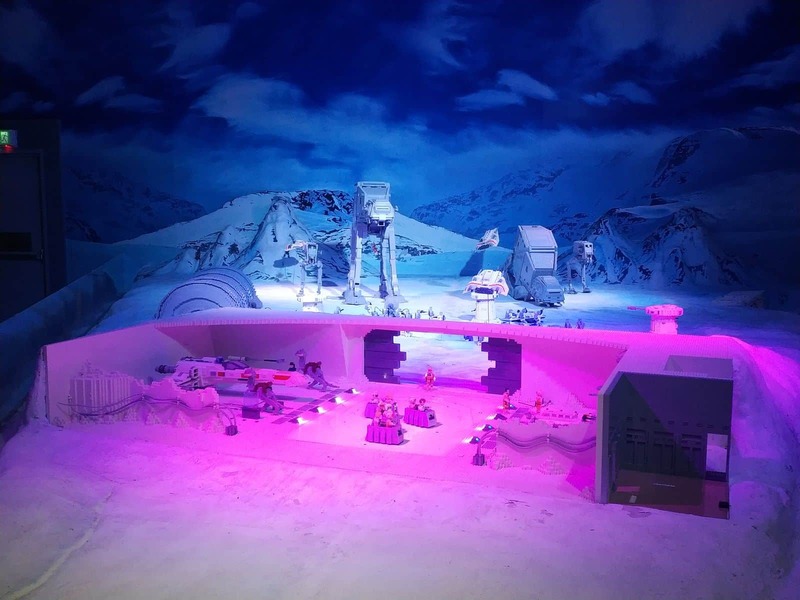 Click the links below to buy your tickets today!